These Cool Whip cookies only require four ingredients! 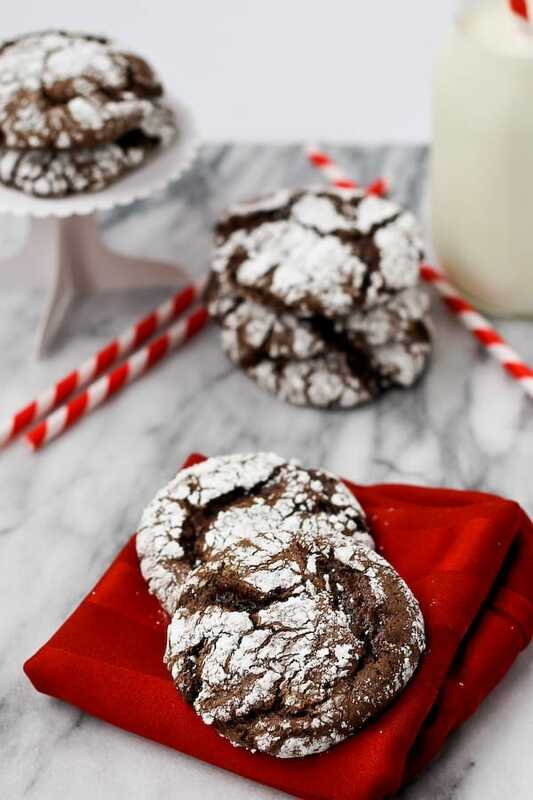 With cookies this easy, there’s no excuse not to whip up a batch of cookies for any occasion. Did you know that you could use Cool Whip to make COOKIES? I know, it sounds like crazy talk, doesn’t it? 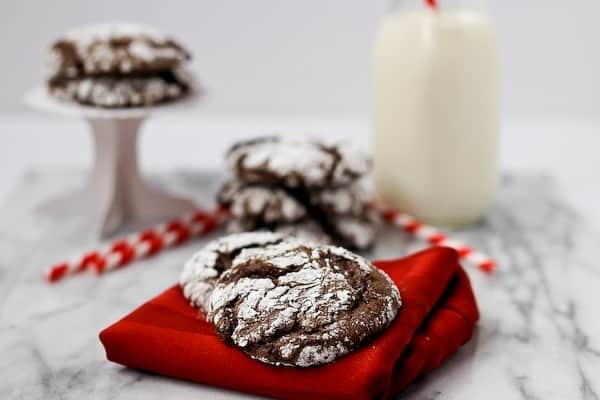 And better than the use of Cool Whip is the fact that these fudgy cookies only require four simple ingredients: cake mix, Cool Whip, 1 egg, and powdered sugar. All of which you may already have in your pantry and fridge. Of course you can make them a little fancier, but they’re terrific on their own. 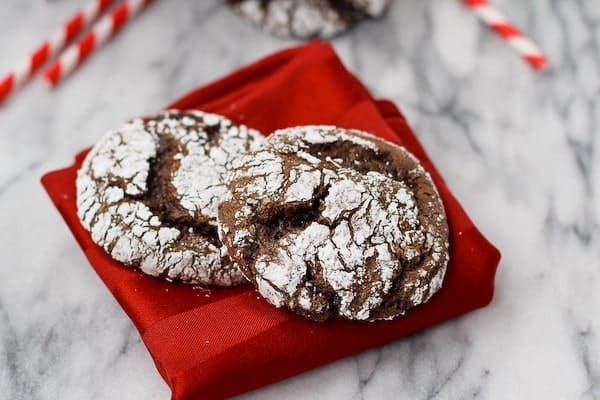 These chocolate cookies would be even richer and more decadent with the addition of some chocolate chips, but they’re certainly not needed. If you don’t have chocolate fudge cake mix available, it’s your lucky day! These cookies would be great with any flavor cake mix. I can’t wait to make them with a funfetti cake mix, my kids would adore the fun sprinkles. What is it with kids and sprinkles? I could put sprinkles on roasted broccoli and they’d devour it like an ice cream sundae. Maybe that’s not a good example though, they love that roasted broccoli, sprinkles or not. But we do love our sprinkles! Sometimes I put a few on the kids’ yogurt in the morning. Their eyes light up and immediately the day is off to a great start. If I made these cookies for lunch, then I’d be really winning at the mom game. 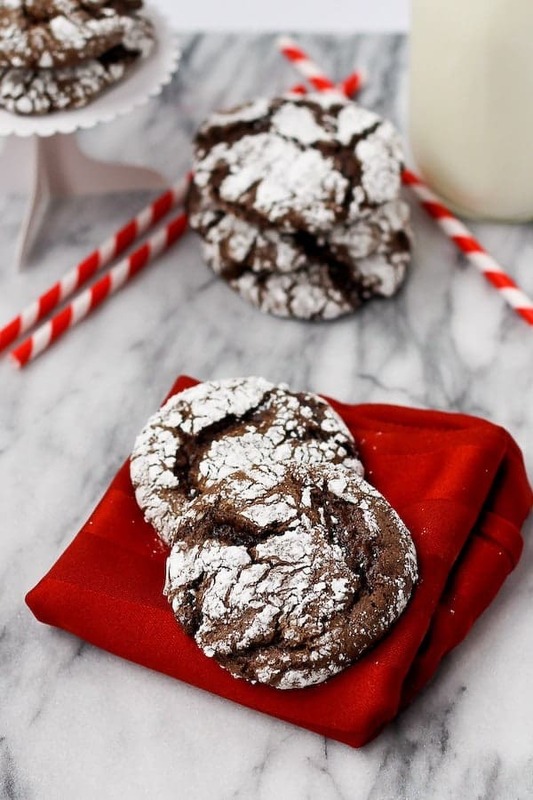 Still looking for more fun cookies? Try red velvet cookies, which also make use of a cake mix and are nearly as simple to make as these Cool Whip cookies. Or if you’re loving the idea of sprinkles in your cookies, try cake batter cookies – I love the white chocolate chips in them. If you’re feeling like that cake mix in your pantry should really be used for cake and not cookies, maybe this dump cake recipe is for you! 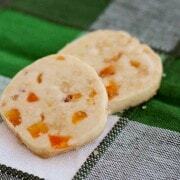 This Cool Whip Cookies Recipe was created for Food Fanatic. I am making these for the first time and my dough is too runny to make a ball. Does the cool whip need to be really cold? I may have let mine out to long and the mix is not sticky..??? I’ve never had that issue! Was it the correct size container of cool whip? A typical size box of cake mix? The cookies did not bake/set in 12 min. Mine needed 30 min. to set!!! (I have a professional oven) Not worth the time of rolling in sugar. Taste like thin brownies. 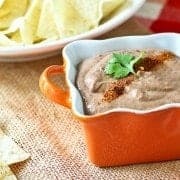 can you add lorann oils to these for flavoring, like mint for Mint chocolate. or perhaps rootbeer to vanilla cake mix.. just curious.. I think that that would be a good addition – I don’t think it would affect the results. I haven’t tested it, so I can’t promise…but if you try it, let me know how they turn out! can you put a kiss on them when they come out of the oven? I haven’t tried that but I think it might work! Let me know if you try it! I have made,these before and love all flavors…..easy easy easy….thanks for sharing recipe. So glad to hear that! Thanks Joan! Awesome! Thanks for taking the time to come back and leave a comment! I was wondering if I could use brownie mix to make these. I used red velvet cake mix. I’ve never used a brownie mix – I don’t think they’d turn out quite the same. If you try it, let me know! I’m so happy to hear you like these! Thank you for taking the time to come back and let me know! since cool whip is a type of hydrogenated oil, I guess it wouldn’t surprise me you could substitute it in the recipe. They look good! I had no idea you could do this with Cool Whip!! Learn something new every day. These cookies are so much fun! I’ve never tried adding Cool Whip to a cookie before. They look fabulous! These cookies look seriously perfect! Never considered adding Cool Whip to a cookie recipe! 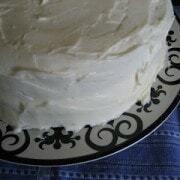 I’ve been making these awhile now….my favorite is using key lime cake mix, strawberry is really good too! I didn’t know you could make cookies with cool whip! Learn something new everyday. These look great and can’t wait to try it out! !